LIMITED Homes remain! 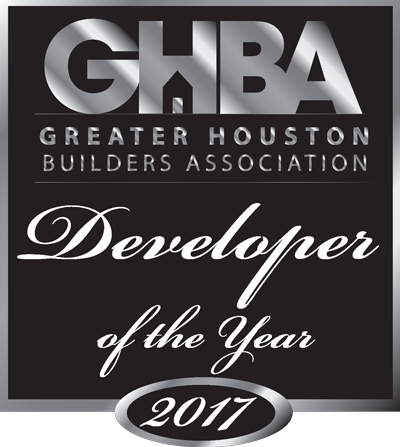 Valley Ranch is a master planned community located just north of Kingwood at the intersection of Grand Parkway and Interstate 69 (US 59). 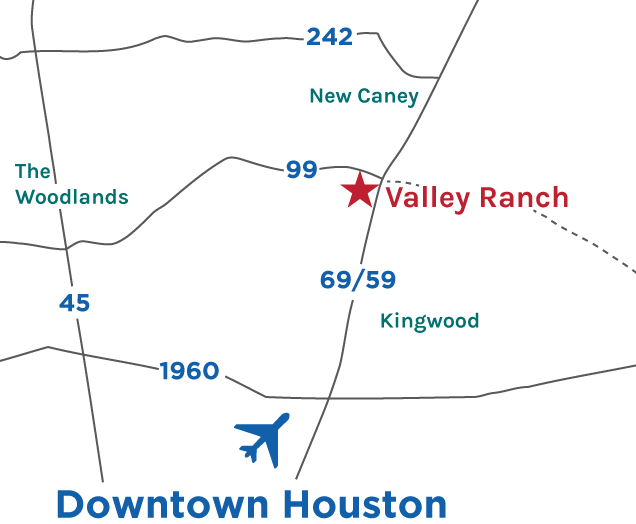 Valley Ranch is zoned to New Caney Independent School District with the Valley Ranch Elementary and New Caney Middle located within the community. You couldn’t ask for a better location to call home. Valley Ranch residents enjoy full of live with all the amenities including, an elaborate community pool with splash pad, shopping, restaurants and entertainment within a minutes drive at Valley Ranch Town Center. Take the family on an camping trip or to explore Lake Houston National Park. Or spend a day out on Lake Houston fishing, boating or just relaxing and watching the sunset. Phone: 281-354-9959 - Call for an appointment! * P&I. Price $231,620, 3.5% Down, 5.25% Fixed, 30 Year Term, OAC from third party lender. Prices and rates subject to change without notice.